Did you know that in Japan, ISP tracks and records every site visited for up to 10 years. For that and many other reasons, securing your connection can be a good idea. But in a country of high speed internet, it’s important to pick a VPN service that is as fast as possible to maximise performance. This is my research for the best and fastest VPN for Japan in 2019! In this post, I have made four simple speed tests in Tokyo, Hong Kong, Los Angeles & London, with my fast 1000Gigabit connection in Japan. First without a VPN and then the same with each VPN service. The list is ongoing, so I will add up VPN providers with time. 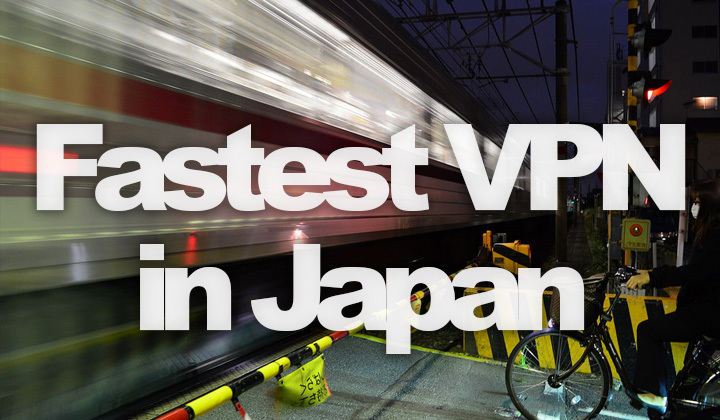 The fastest VPN for Japan is Astrill. Speeds are impressive inside Japan but there is a great deal of variety in performance overseas. When downloading larger files, speed can be improved by using concurrent connections with multi-threaded/segmented downloading. Tokyo: Hosted by Cordeos Corp.
Click here to see Astrill membership plans. This is a fast and stable VPN for Japan. With a significant increase in speed for overseas connections. Three servers within the country to choose from for optimal speed, and a very extensive but simple to use connection client. The client also gives the option to use OpenWeb protocol which is an even faster connection method that works only with web browsing. I managed to record downloads speeds of up to 420Mbps with it! So you can stream anything overseas. You will loose potential Gigabit speeds but the connection is solid globally and quite fast within the limits of a 100Mbit internet connections or less. The level of security and anonymity is very good. All the personal information you need to give them is your email address. The support is very fast and helpful too. See here for NordVPN pricing options. Steady performance, but sadly looks like speeds are pretty much stuck around 30Mb/s. ISP: SoftLayer Dutch Holdings B.V.
Service is good and the staff was very helpful to try and fix the issue with download speeds, without results unfortunately. Perhaps it can work for some, but just opening web pages was slow enough to make this unusable with my connection. Two servers located in Tokyo with similar performance. Good connection inside Japan, but speed seems to progressively slow down when moving outside of the Japanese waters. Decent performance, but looses with downloads speeds. ISP: Green Net Co., Ltd. This is a good example how a VPN service can go terribly wrong. According to the results I got, ZenVPN is at the moment not suitable for the Japanese market. Please note that this is not an accurate indication of average speed. The test is to see the potential capacity of the VPN bandwidth. Hope this was helpful in finding a fast Virtual Private Network. If you have any suggestions or questions please go ahead and leave a comment! Wow. This is one great post. The best thing is it has all the numbers to show. Thankyou for the research you have done. Wow! OpenWeb & Astrill is a killer combination, really speeds up your internet connection in Japan. Thanks for all the research! Indeed! Several different connection methods (three on their connection client) and numerous servers within Japan (on different providers) is an offer that’s hard to beat! You can always find good connectivity wherever you are located. And thanks very much for your feedback Tobias. I would also agree with providers that focus on Asia like ExpressVPN. You can also check out this helpful post for a breakdown of VPN providers in Japan. We are using FastestVPN in our Japan office which is quite working fast and perfect. This VPN provider doesn’t have a Japan server location, I can only see Hong Kong and South Korea in the list of countries. A Japanese server is must for the best speeds.